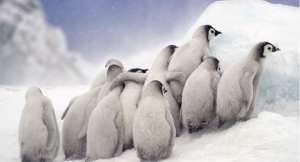 Nadia Aly’s photograph of penguin chicks grouped together is shortlisted in the Open, Natural World & Wildlife category. Sony World Photography Awards announced this year’s shortlist for open and Youth competitions, which received 326, 000 entries from 195 countries. The overall winner will be announced at a ceremony in London on 17th April.